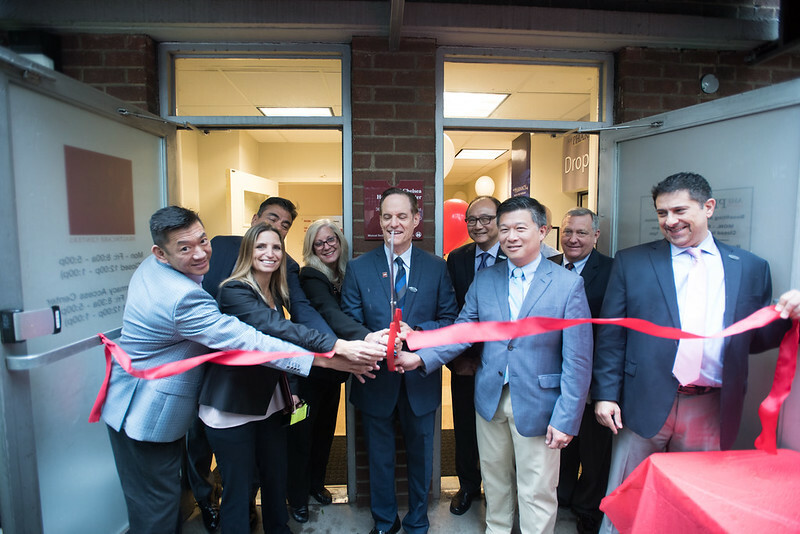 AHF • AHF Pharmacy Hosts Grand Opening For New Chelsea Location! NEW YORK (May 25, 2017) — AIDS Healthcare Foundation (AHF), the largest non-profit HIV/AIDS healthcare provider in the U.S., which currently provides care and/or services to more than 729,000 individuals in 39 countries worldwide, continues to grow in New York. Now serving over 13,000 HIV+/- clients in New York through its five Healthcare Centers – led by the Northern Regional Medical Director Dr. Ricky Hsu – three AHF Pharmacies, an Out of the Closet Thrift Store, and its ACQC affiliate, AHF celebrated the grand opening of its newest AHF Pharmacy in the New York City metro area, located at 365A W 28th Street in Manhattan’s Chelsea neighborhood, on Monday with a ribbon-cutting ceremony and reception at the pharmacy. Adjacent to AIDS Healthcare Foundation’s Chelsea Healthcare Center, led by Dr. Robert Chavez, the pharmacy will offer pharmacy services Monday – Friday from 8:30 a.m. – 5:30 p.m.
AHF Pharmacy is a full-service facility staffed with pharmacists who specialize in HIV/AIDS medications (as well as general pharmacy services) that provide clients with access to the additional specialists, medications and services they need to be as healthy as possible. Revenues generated from AHF Pharmacy help contribute to caring for AHF patients around the world and 96 cents of every dollar earned at the pharmacy supports AHF’s global and national HIV/AIDS services, including treatment, testing, and advocacy. There are now three AHF Pharmacy locations in New York City, 43 in the United States and medication delivery is offered nationwide. The Lancet Book Review: "Anyone Can Absolutely Change The World"